The Kendall Curity Catheter Plug is made of high quality materials to help in your urological care. Use with other Curity catheter products. are the catheter plugs supplied sterile? in individual packaging? 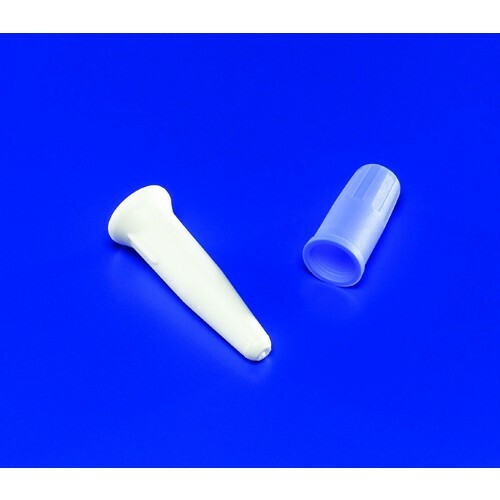 Per the manufacturer the catheter plugs are sterile and individually wrapped. What good is a plug if it leaks. There must be a pin size leak at the tip of this plug cause the center of the plug fills with urine. I went back to the doctor's and got a second plug when the first one leaked. The second one leaked too. It must be a manufacturing defect because both were in sealed pouches.